In an essay for the BBC, Nobel Prize-winner and Royal Society President Sir Venki Ramakrishnan contemplates the nature of scientific discovery - how it has transformed our worldview in a short space of time, and why we need to be just as watchful today about the uses of research as we've ever been. If we could miraculously transport even the smartest people from around 1900 to today's world, they would be simply astonished at how we now understand things that had puzzled humans for centuries. Just over a hundred years ago, people had no idea how we inherit and pass on traits or how a single cell could grow into an organism. They didn't know that atoms themselves had structure - the word itself means indivisible. They didn't know that matter has very strange properties that defy common sense. Or why there is gravity. And they had no idea how things began, whether it was life on earth or the universe itself. These days because of fundamental discoveries we can answer or at least begin to answer those mysteries. That has transformed the way we see the world and often our everyday lives. Much of what we take for granted today is a result of an interplay of fundamental science and technology, with each driving the other forward. Almost every modern invention has one or often many fundamental discoveries that make it possible. Sometimes, these fundamental discoveries were hundreds of years old. Neither jet engines nor rockets would be possible without a knowledge of Newton's laws of motion. There are big moments in science, like the discovery of the structure of DNA that shift our perspectives. But even that discovery was a milestone that built on work by Darwin and Mendel and presaged today's biotechnology where the entire DNA of a human being - the human genome - has been sequenced. Which groundbreaking discovery was uncovered in your life time? Find out with the Tomorrow's World Global Change Calculator. That in turn has given us the ability to figure out how things go wrong in genetic diseases and potentially how to fix them. 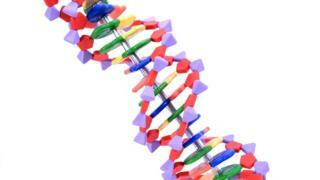 Scientists were recently able to modify the genes of a young girl to cure her cancer. We are no longer a complete black box, although our complexity is such that we are only just beginning to understand how our genes regulate the body and how they interact with our environment. Genetic technologies are likely to present society with some big questions about how we see ourselves and what we want to use our greater understanding and capability for. That is also true of the Big Bang theory of how the Universe came into existence. A hundred years ago mysteries such as how the Universe came to exist were, for many, firmly in the realms of faith. Spurred on by the observation that the Universe is not constant, but galaxies are always expanding away from each other, we were able to work out that the Universe began with a Big Bang from a single point. This knowledge gives us insight into perhaps what is the biggest question of all - where did everything come from? That insight makes our small blue dot seem increasingly small, yet our quest for knowledge of what is out there shows no signs of an inferiority complex. From the Apollo missions to the Cassini probe, the Hubble telescope to the search for gravitational waves and exoplanets - all of those breakthroughs seem to be making us more inquisitive about space. Today, much of how we see the world is through an electronic screen. Computers in all their many guises are sources of knowledge, but they are also increasingly how we present ourselves to the rest of the world, and how we interact with others. Even a ubiquitous object like a smartphone depends on many fundamental discoveries. Its powerful computer depends on integrated chips made up of transistors, whose discovery depended on an understanding of quantum mechanics. The GPS in a smart phone depends on correcting the time from satellites using both the special and general theories of relativity - theories that people once thought would have no practical value. I wonder how many understand all the discoveries that make the little box work. Computers are also driving developments that will continue to challenge our view of the world. Machines that learn are already among us and are changing the world in which we live. They offer great potential in areas including healthcare and improving other public services, and may soon result in driverless cars and very sophisticated robots, but we need to make conscious decisions about how we want smart machines to allow humanity to flourish. Discoveries themselves are morally neutral, but the use we make of them are not. One discovery that shifted our view of the world in two distinctly divergent directions was nuclear fission. Its discovery led to the development of the most destructive weapons known. Some argue that the fear of destruction has been a powerful motivator for peace, but this is hardly a stable solution as can be seen with today's situation with North Korea. On the other hand, nuclear fission also promised a reliable source of energy that was once optimistically predicted to be 'too cheap to meter'. Science is the pursuit of knowledge about ourselves and the world around us. That pursuit of knowledge has also shaped the way we view the world, as has the application of the knowledge. It has transformed our lives, generally for the better. We live nearly twice as long today as our ancestors did in 1900 and the quality of our lives is far better than it was then. But the uses of science and technology are not shaped by science and scientists alone. They depend on an interplay of cultural, economic and political factors. Science is a triumph of human knowledge and we can all share in its excitement. At the same time, understanding its many uses can help us be engaged in decisions that affect us all.